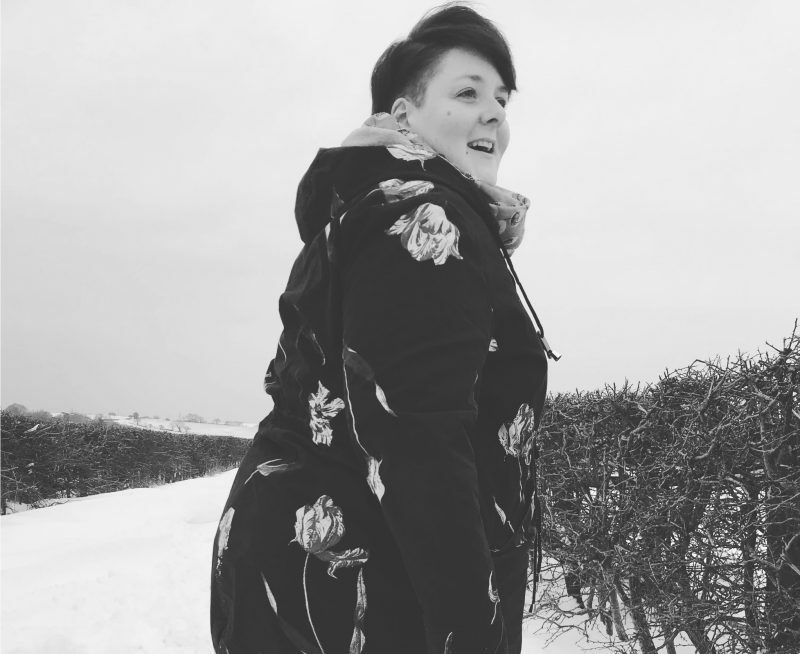 Why did you set up Conscious Fibres? About 3 years ago I went on holiday to Cornwall and stayed in a converted coach house. The owners had done so many things to improve and reduce the environmental impact of the home. It was the first time I ever really took notice of how it is possible to live in an eco-friendly way without compromise. That led me to discover the concept of zero waste. Previously I produced handmade products for the beauty market, but after many years I realised it was not my passion. The products I was selling had nothing in common with my ideals and so I vowed to change direction completely. 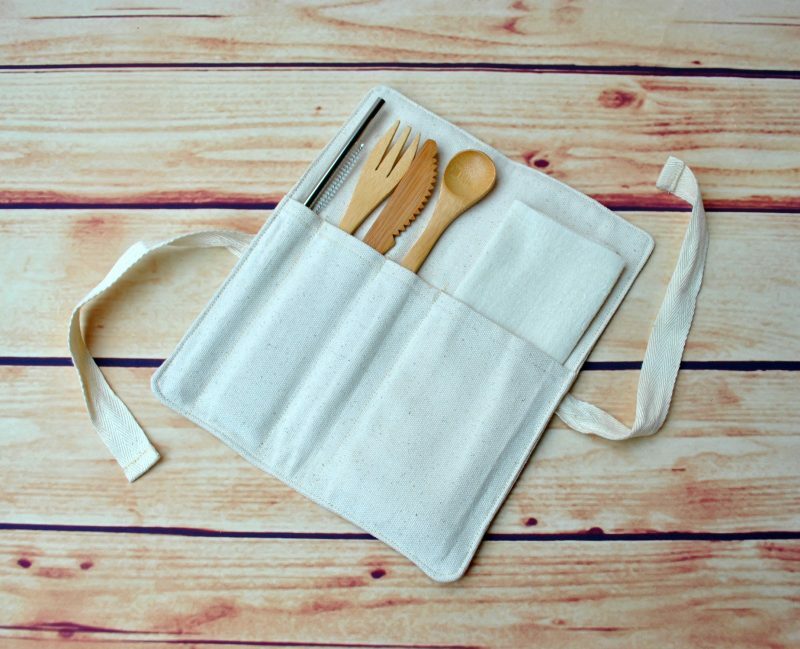 I wanted to focus on products with a sustainable and waste free approach. I decided if I was going to do this I was going to do it right. 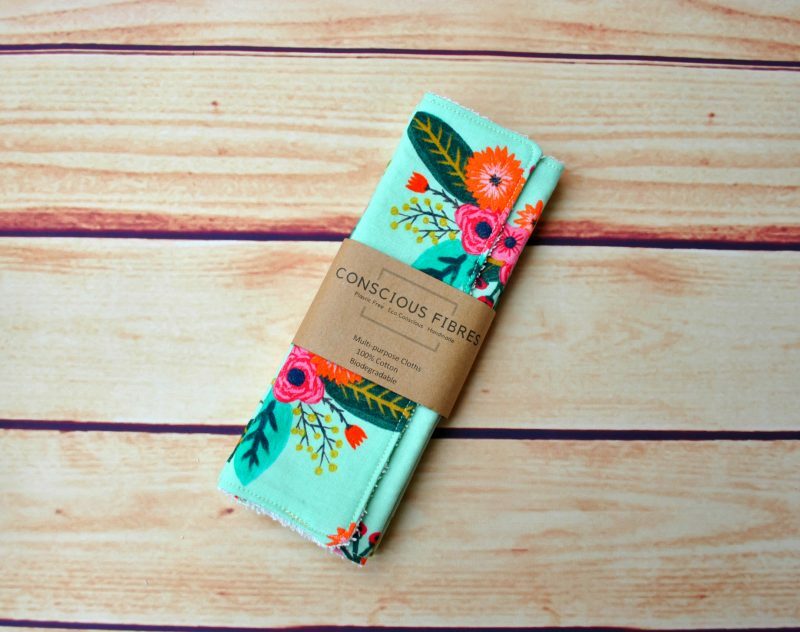 At Conscious Fibres, we want to be able confidently state that every item in the shop can degrade or be reused. This has been our main goal, it guides how and what kind of products we make for the shop. How did you take the environment into account when designing your products? For each item to be degradable, every fibre used needed to be natural and so we sourced organic and unbleached cotton for many items. It also allows for item to be compostable. The items we make traditionally have non-degradable elements on them, so there was some redesigning and sourcing of alternatives to make items fit our vision. We didn’t want to forget about packaging either. 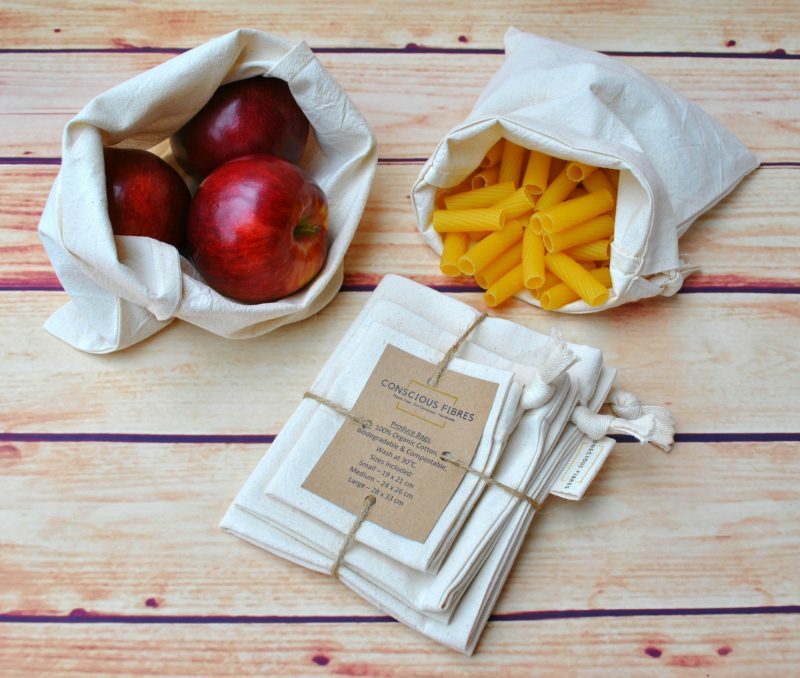 We are proudly plastic-free as 100% of Conscious Fibres packaging is paper-based! This means it is recyclable and also compostable. True zero-waste is incredibly difficult to achieve as we live in a linear economy that makes it virtually impossible to live a waste free existence. Of course, it doesn’t mean we shouldn’t try. I am constantly aware of the waste I create and trying hard to only produce waste that can be recycled, composted or reused. As a society we are raised to consume, so the zero-waste movement promotes careful consideration. Consideration of the products we purchase; taking care of what we already own; and being aware of the environmental impacts our purchases have. Without any form of waste reduction, we will continue to destroy the delicate eco systems that we need to survive on the planet. We have become a society that values wealth and power over the welfare of oceans, animals, rainforests, even people. That needs to change. Many products we use every day are unnecessarily wasteful and we can all make simple changes to make a difference. Easy ways to make a difference are using stainless steel drinking straws; using re-usable plastic-free shopping bags or refusing a plastic carrier bag when shopping. This quote is incredibly important to me. If we all spent our money wisely on products designed to curb our consumption of plastic, other businesses would have no choice but to change. What’s the one thing you’d like to see in the future for zero waste? It would for our government to take bold action, and start taking guidance from countries like Finland and Iceland. They are just far ahead of us when it comes to waste. I believe that eco-friendly policies should be mandatory rather than voluntary for businesses. A recent example is a policy encouraging businesses to cut down on single-use plastics; it would make far more difference if it were the law, rather than a voluntary scheme. Thank you so much for taking the time for this post Victoria! 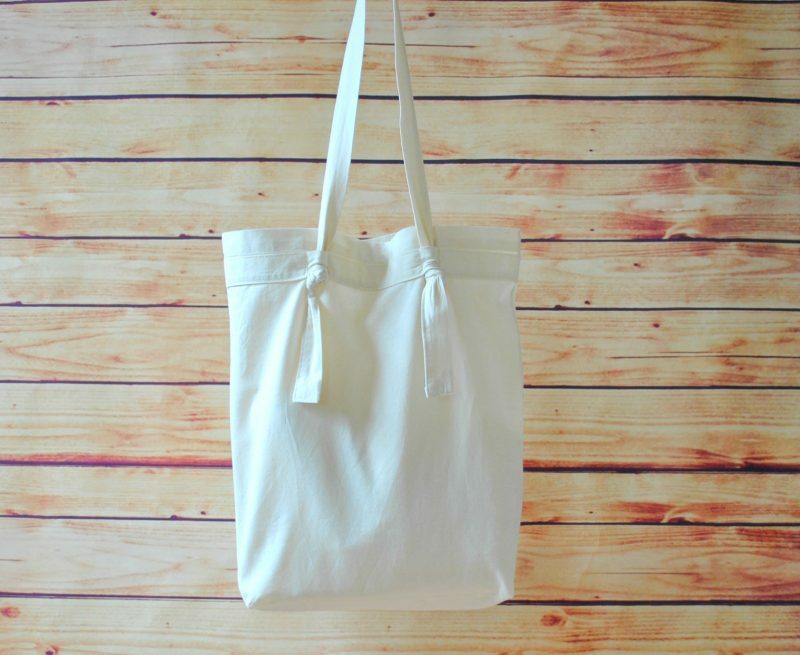 I love the ethos behind Conscious Fibres and also the minimalist look of the products. 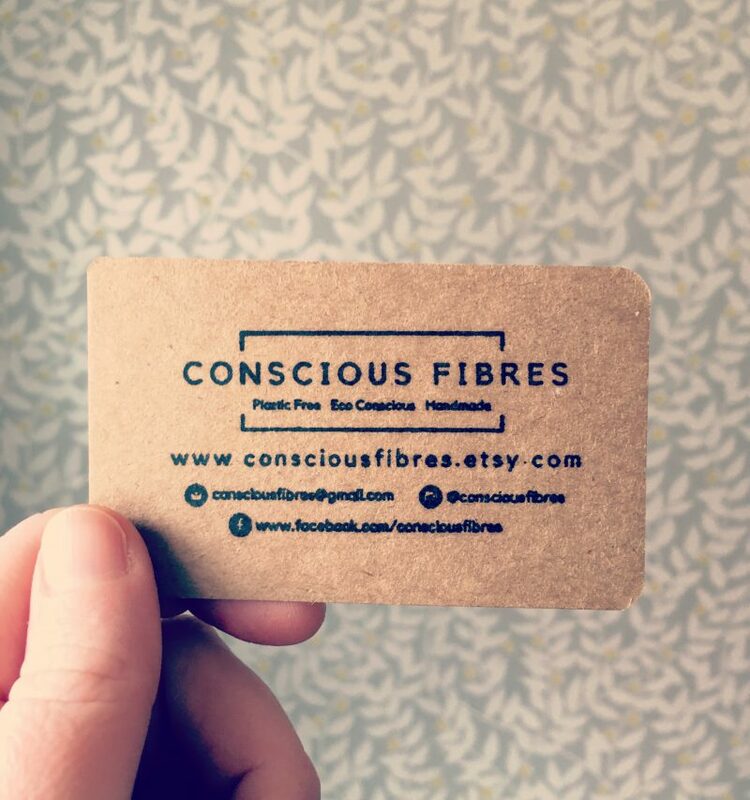 You can find Conscious Fibres on Instagram, Facebook and of course Etsy.